A photograph of Velda O'Donnell and Henry Lillard taken in March 1961. 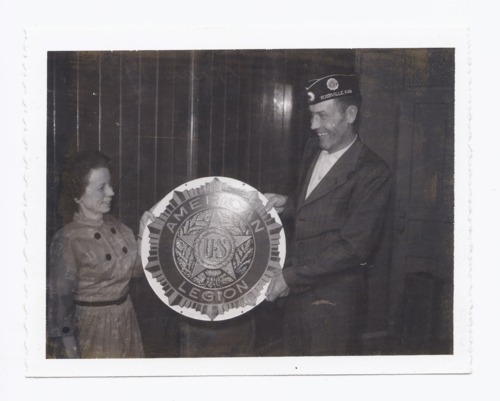 Rossville's American Legion Auxiliary Unit was organized October 14, 1958, as the Jimmie Lillard Unit 31. Velda O'Donnell was elected vice president on October 22, 1958. This photograph is provided through a pilot project to host unique cultural heritage materials from local libraries on Kansas Memory and was accomplished by mutual agreement between the Northeast Kansas Library System, the Rossville Community Library, and the Kansas Historical Society.